Kurayoshi & Tottori & Matsui | ImpEx Beverages Inc.
Kurayoshi Malt Whisky 46% abv 12/750ml – This pure malt whisky has been aged for more than 3 years in ex-bourbon white oak casks. It has a soft malt aroma that is fragrant and refreshing. The flavor is raisins, nuts, and vanilla, with a balance of tart and sweet that harmoniously spread throughout your mouth. 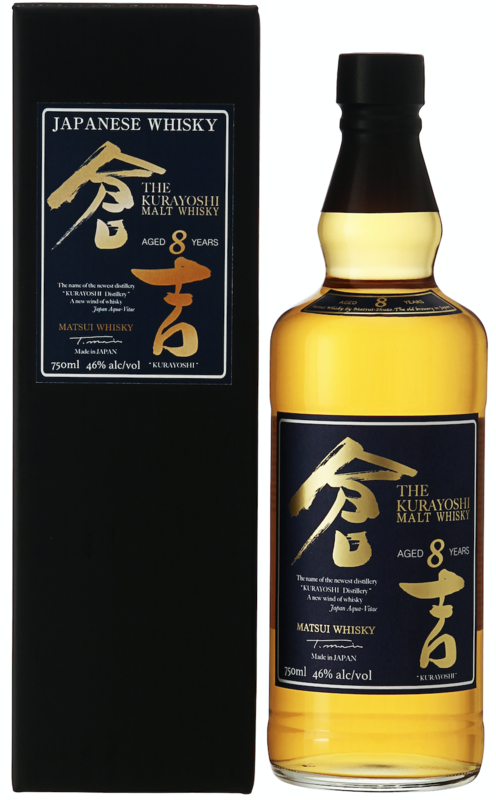 Kurayoshi 8yr Malt Whisky – 46% abv 12/750ml – This whisky is aged in white oak ex-bourbon barrels for over 8 years removing any unpleasant flavors and causing the whisky to become ripe and complex in flavor. The malt aromas and sweet refreshing fruit notes remind one of pale golden and dry orange colors. The palate is sweet and stands out with fragrances of vanilla and nuts. The mouth-feel is very soft. Kurayoshi 12yr Malt Whisky – 46% abv 12/750ml – The rich aroma of fragrant mixed nuts, including almonds and the heavy malt aroma spread throughout the mouth, giving a sense of the long-term maturation of over 12 years. Good vanilla and raisins with faint smokiness is felt. The long term aging give an outstanding balance of tart and sweet. A soft and smooth finish remains. Kurayoshi 18yr Malt Whisky – 50% abv 12/750ml – A deep and rich fragrance of the highest quality makes you feel the long-term maturation of over 18 years. The complex and deep flavor profile joins the sweet taste of honey mixed with smoke and spice and a mellow sweetness of vanilla a refreshing touch of mint. It is a drink that can satisfy the best whiskey enthusiasts. 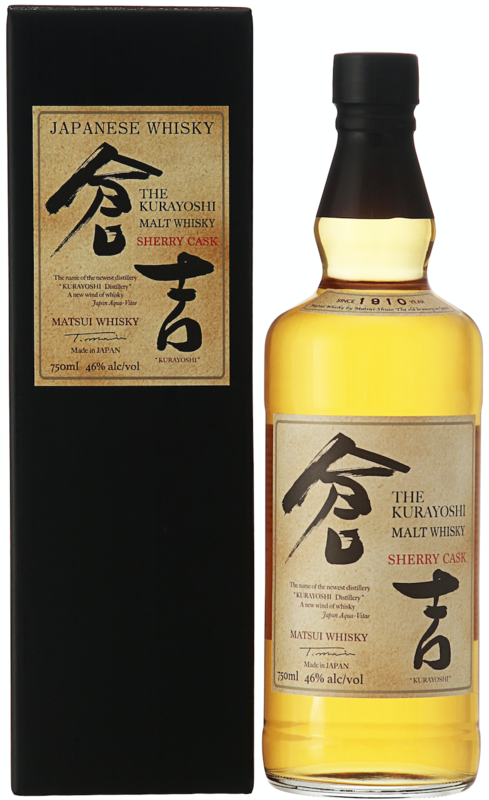 Kurayoshi Sherry Cask Malt Whisky – 46% abv 12/750ml – A sweet aroma of berries and chocolate comes from whisky aged in oak casks for over 3 years and then finished in sherry casks. It is complimented by a citrus-tart taste like lemon grass. It has a balanced aroma, and the palate is smooth with a lingering finish. It is very soft and recommended for all palates. Kurayoshi 8yr Sherry Cask Malt Whisky – 46% abv 12/750ml – Matured in oak casks and finished in fresh sherry casks, this whisky has sweet and mature aromas including raisins, pears, biscuits and cookies created by over 8 years of aging. The sherry casks add a toasty warm quality to the whisky as well as a rich whisky-cask fragrance that is gorgeous and refreshing. Tottori is the blended line of whiskies from the Kurayoshi distillery in Tottori, Japan. Kurayoshi is known for its fresh spring water which is best-suited for producing whisky. 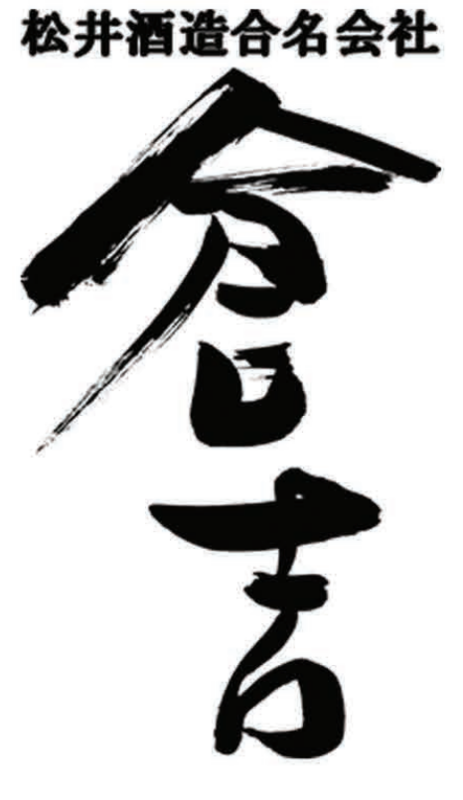 The name “Kurayoshi” in Japanese was originated from the phrase “Kurashiyoshi”, which is translated to “Good Living” in English. The city is located near the Japan Sea, and there is a big gap in climate and temperature which advances the aging process comparing to the ones famous for whisky brewing in the world. It is no exaggeration to say that whisky is made by nature. Our distillery is operated with a small number of staff and each of us is committed to producing and delivering the best quality whisky to the hands of our consumers. Complex and elegant, but with rich vanilla and oak undertones from being matured in ex-bourbon barrels. A slightly bolder version of the Tottori Japanese Whisky. The Tottori Japanese Whisky Ex-Bourbon This whisky is characterized by mellow sweetness and aroma. The mouth feel is refreshing with a faint fruity sweetness and an ornate finish. The finish is soft and lasting. Perfect for any style of drink, on the rocks, High Ball, and soon. This whisky is characterized by mellow sweetness and aroma. The mouth feel is refreshing with a faint fruity sweetness and an ornate finish. The finish is soft and lasting. Perfect for any style of drink, on the rocks, High Ball, and soon. The first round of these single malts will have been distilled in 1000 liter copper pot stills that were produced in Portugal. They have installed a 5000 liter wash and a 3000 liter spirits still that a come online in Aug. 2018. The Matsui Single Malt Sakura Cask 48% abv – This Single Malt distilled at the Kurayoshi Distillery is matured in ex-Bourbon barrels and then transferred to Bourbon barrels that have had the heads swapped out for Sakura Oak for the last few months of maturation. Un-chillfiltered, Natural Color. 14-19 months old. The Matsui Single Malt Mizunara Cask 48% abv – This Single Malt distilled at the Kurayoshi Distillery is matured in ex-Bourbon barrels and then transferred to Bourbon barrels that have had the heads swapped out for Mizunara Oak for the last few months of maturation. Un-chillfiltered, Natural Color. 14-19 months old. The Matsui Single Malt Peated 48% abv – This Single malt distilled from heavily peated barley at the Kurayoshi Distillery is matured in ex-Bourbon barrels and then transferred to Bourbon barrels. Un-chillfiltered, Natural Color. 14-19 months old.